The southern province of Dong Nai has reported the second death from dengue fever, Director of the provincial Preventive Medicine Centre Bach Thai Binh said on September 8. Binh confirmed the death of a woman who resided in Tam Hiep ward, Bien Hoa city. The Preventive Medicine Centre joined hands with Tam Hiep ward’s health centre to spray chemicals around her house to prevent dengue fever while enhancing communication to raise public awareness of the disease. 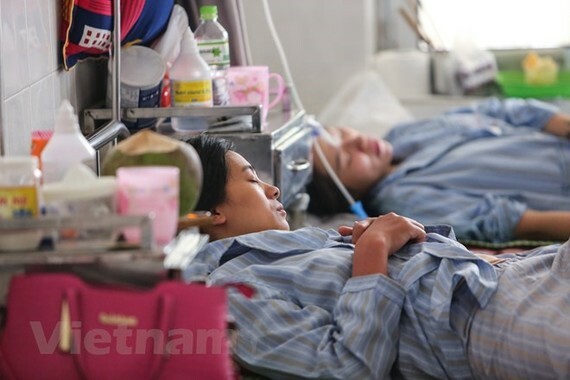 Since the outset of the year, Bien Hoa city has been among leading localities in Dong Nai province in the number of dengue fever cases with some 1,000 cases. Statistics from the Preventive Medicine Centre showed that the province has recorded more than 3,000 dengue fever cases since early 2018, decreasing 20 percent from the same time last year. Most of the patients came from Dinh Quan, Trang Bom and Nhon Trach districts. Dengue is a mosquito-borne viral disease. Dengue virus is transmitted by female mosquitoes mainly of the species Aedes aegypti and to a lesser extent, Ae.albopictus. Dengue is widespread throughout the tropics, with local variations in risk influenced by rainfall, temperature and unplanned rapid urbanisation.